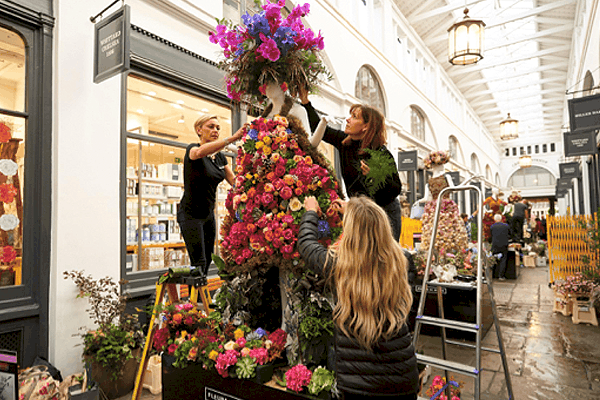 The big day was finally here, after weeks of organising, designing and planning – it was time to set up in the world-famous Covent Garden Market for the Fleurs de Villes exhibition. Our team had worked through the night packing her up and making sure she would make it one piece – and we arrived at Covent Garden at 5am. As expected, it was an early start! The best things always begin early in the morning (or so we’ve been told!) so we headed into London excited and ready to take on the challenge. The photo above of us setting up was actually award “Photo of the Day” by The Evening Standard Newspaper – one of the biggest newspapers in London. So that was a great surprise on the day – and added a little more excitement to everything! Setting up in the market was a fantastic experience. 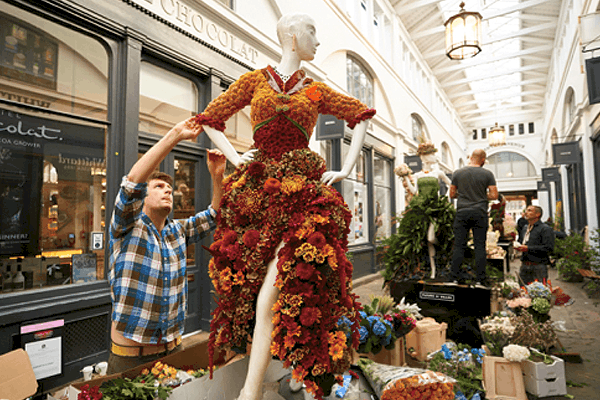 Covent Garden, usually bustling and busy, was absolutely empty and quiet – except for all the florists working hard against the deadline to get their designs finished. As the sun came up, more and more curious people were poking their heads around the corner, curious to see what amazing designs had popped up over night. It was really something to see, and we loved seeing the other designs take shape just like our own was. 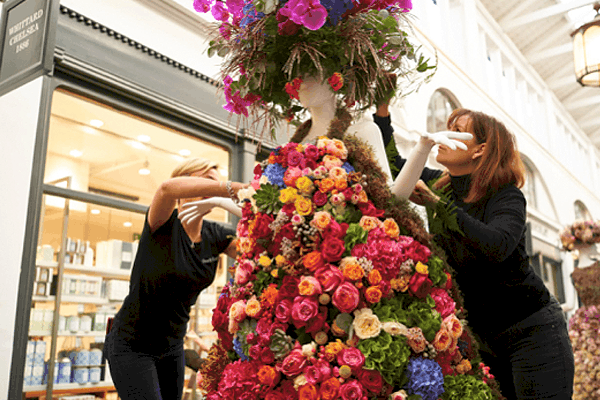 Below you can see the team at Bloomsbury Flowers working on their mannequin too! When our design was finished – What a sight to behold! She was beautiful, and we were so happy with the finished result! Meet Florista. Dynamic, passionate and here to peel back the curtains of the secret word of fragrance. 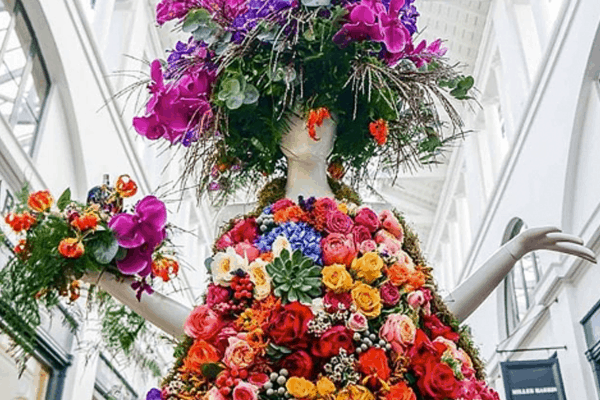 In her workshop-styled apron of delicate roses, clematis, orchids, scented jasmine and rosemary herb rich with natural fragrance, her jaw-dropping floral gown celebrates beautiful foliages, wygelia, and cinerea combines with other gorgeous scented flowers. She epitomises the elegance and warmth of every woman. 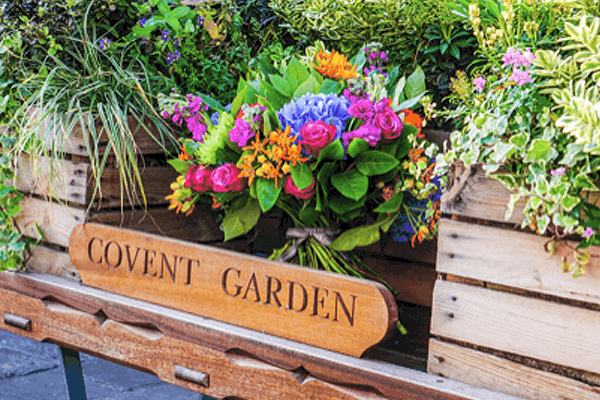 Powered by flowers, born in London. There was no doubting how eye-catching she was – and she demanded the attention of everyone who walked past. The colourful apron dress was the epitome of ‘up-lifting design’ and the fun headpiece and bright colours finished her off perfectly. But the hard work wasn’t done! 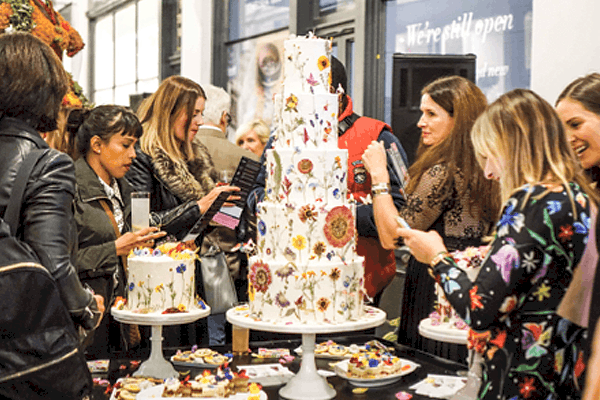 We still had a launch event to attend in the evening, which was wonderful fun – especially meeting all the other florists and brands taking part. 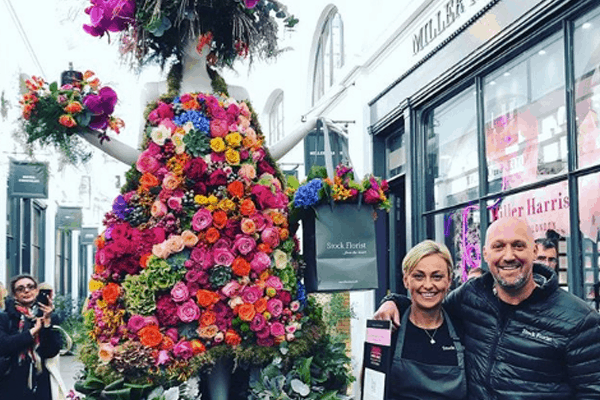 We sipped Champagne, wore flower crowns and enjoying soaking in the atmosphere – it’s not often you get invited to a private event in Covent Garden! 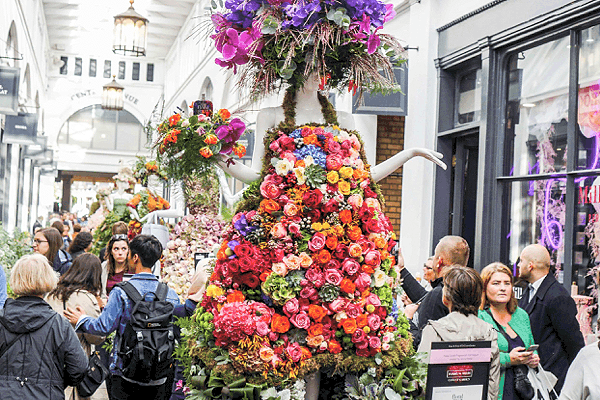 Over the next few days, our mannequin stood proudly in Covent Garden for all of London to see. Each time we visited the market to check on her, and top-up the design, we saw people smiling, taking photos and texting their friends. 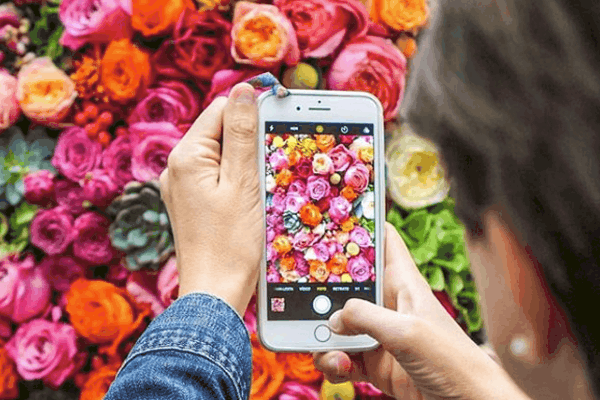 It was a joy to see how happy the Florista design was making everyone. Alongside the mannequin, we also had a pop-up store in Covent Garden during the week, another fantastic opportunity we couldn’t pass up! It gave us a wonderful chance to meet the public and chat about our mannequin design, but it also meant we could launch something very special…. The Florista Bouquet! Our new bright, bold and beautiful bouquet, inspired by our mannequin for Fleurs de Villes. The idea is to bring the bold, bright colours of our mannequin to life again on a much smaller scale – so you can take a little bit of that vibrance and beauty home with you. A mannequin might not fit in everyone’s lounge – but our florista bouquet will! 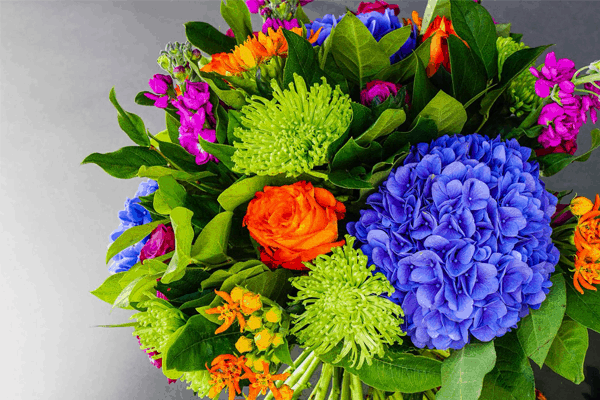 Take a look at this beautiful bouquet below, and just how special it is.